I love the simplicity of these crochet Christmas ornaments. They’re perfect to add a little something extra to your tree. I received a box of scratched silver ornaments from someone who was throwing them away (heck yes!). I needed some way to make them prettier. So the ornament pattern was born. You will create 2 of this exact size. 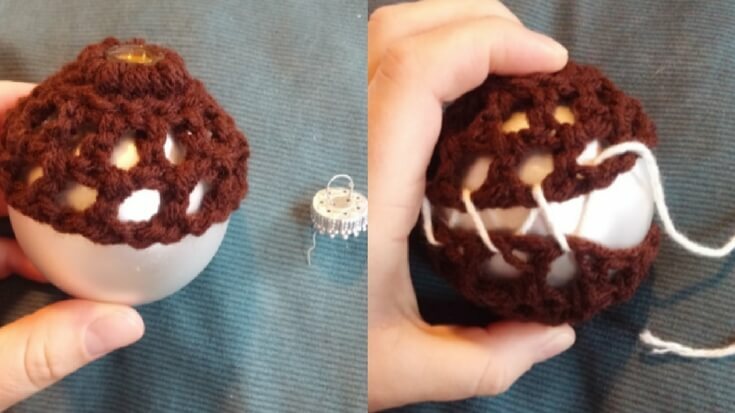 You will then be sewing them together around the ornament. Create a circle by chaining 5 and slip stitching into the first chain. Chain 2. 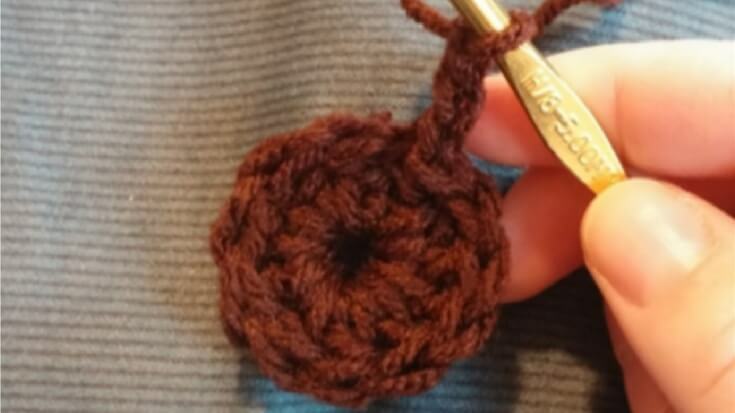 Then double crochet 9 times into the center of your circle. Slip stitch into the top of the “Chain 2” space. Double crochet into the top of the first stitch from the previous row. Chain 1. Repeat the double crochet and chain 1 pattern until you come all the way around. Slip stitch into the 2nd chain of your first “Chain 3” of this row. Double crochet into the Chain 1 space of the previous row. Chain 1. Repeat Double Crochet, Chain 1 pattern into each “Chain 1” space from previous row. Finish off the piece and cut loose from your skein of yarn. Now, taking both pieces, we will begin to sew them together around the ornament. Take off the ornaments top off. Stretch the top of your circle around the ornaments opening. Thread your yarn needle with any color of your choosing (I am using white to show you how to do it). Place section 2 around the base of the ornament. Using your needle, sew the pieces together, tightening the 2 pieces together as you sew. 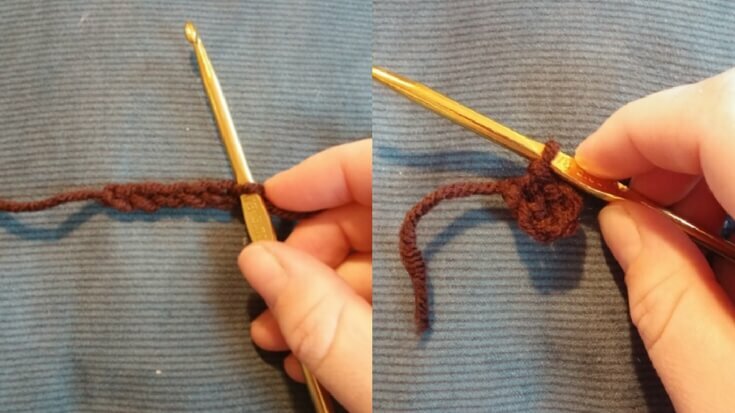 Tie together the starting thread with ending thread after you’ve tightened it. Shift the knot so you can’t see it. There you have it! 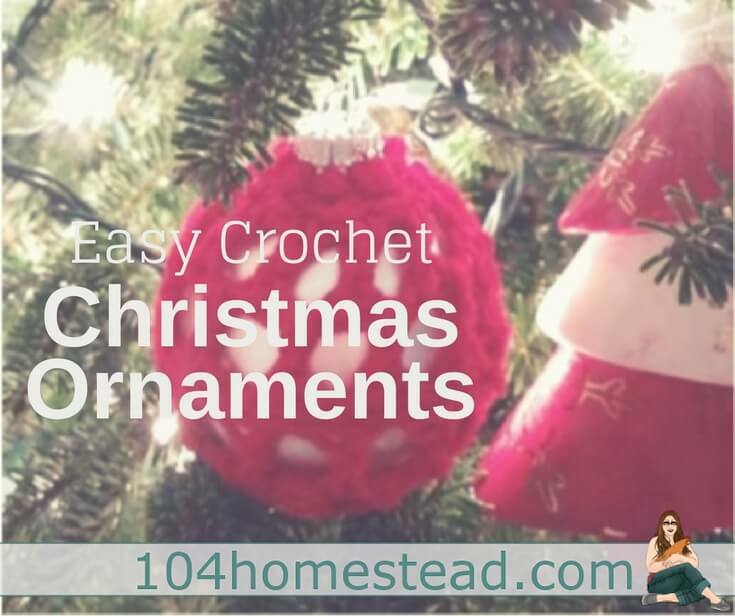 Beautiful crochet Christmas ornaments! You can do them all in one color of have a rainbow of ornaments on your Christmas tree. Be sure to also check out my Tree That Keeps Giving. 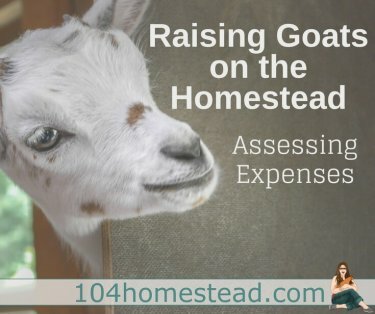 I'm a gardening, homemaking, Jesus-loving, organic-living, all-natural mama. I hold a Bachelor of Science degree in Horticulture, and love all things soil and plant related. My main focus is my blog, The Blooming Mama, but I supplement that site with selling crocheted and homemade items on Etsy. Just fell upon you and your blog this morning in pinterest. Love every article you have posted and look forward to what comes ahead.